Backfill Tampers are used for soil compaction, temporary filling of holes, asphalt packing, etc. Applications range from foundation and pavement repair to the installation of power or telephone poles. Clay and Trench Diggers are used for digging clay, shale, hard pan, and frozen ground, digging medium to lightly packed soil, for light demolition work and for tunneling around existing foundations. The 5 foot steel handle Long Reach Scaler is a tool with numerous applications. Among its many uses are concrete chipping and cleaning, floor stripping, the removal of tile, carpet, grout, paint, insulation, tar, caulking, etc. Paving Breakers Are Versatile, Hard-Hitting Tools That Can Be Used For Medium To Heavy Demolition Work And Concrete Breaking. Rivet Busters were originally designed to cut rivets off metal structures. Today the Rivet Buster series is widely known for its tough, powerful tools. They have the ability to perform all types of medium to heavy demolition work. are used in general construction, utility work, and plant maintenance. They are designed for drilling through granite, hard faced rock, quarry drilling and drilling secondary holes for blasting. They are also used with dowel hole drilling machines. 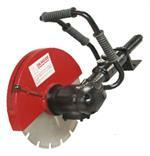 Concrete Vibrators Are Designed For Low Slump Pours Of Concrete Footings, Slabs And Walls. The Correct Diameter Tool Depends On Wall Thickness Or Concrete Depth. 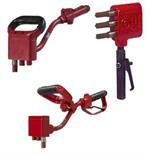 Hand-Held Scabblers Are Ideal Tools For Cleaning & Roughening Concrete & Construction Joints.